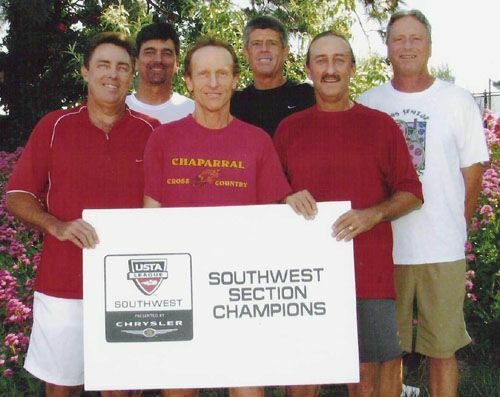 The USTA Central Arizona Senior (50 ) Men's 4.5 team has won the Southwest Section Championships in Albuquerque last weekend. They will be representing the Southwest Section at the Nationals in Indian Wells on October 18-20. The team plays out of Gainey Ranch in Scottsdale. Team members include: Bill Austin, David Buterbaugh, Ray Hugill, Theo Mandel - Captain, Rob Millsop, Tim Moman, Jim Quenzler, Ron Shaffer, Jon Weiss.